I am always looking for great resources to help me reinforce my son’s education at home. 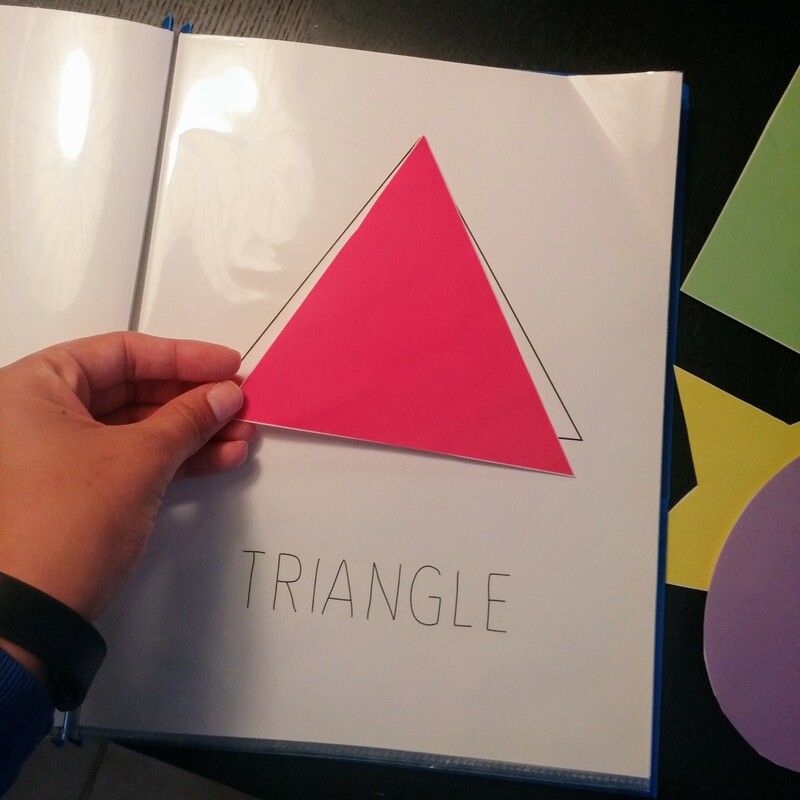 When he first started to learn his shapes, I found this great activity book online. 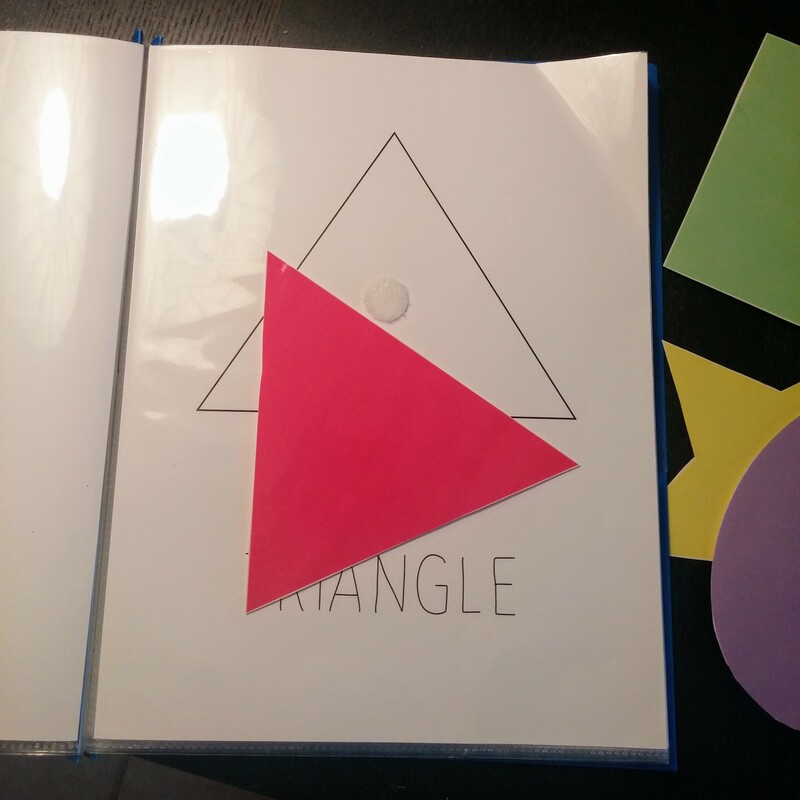 It was easy to make and we still use it to help my son review his shapes. First I went to this awesome blog, www.pastelsandmacarons.com. You should definitely check out this blog for crafts and activities. I found the post for the toddler shapes activity book (http://www.pastelsandmacarons.com/2015/08/12/toddler-shapes-activity-book/). It was very simple to follow the directions she provided. 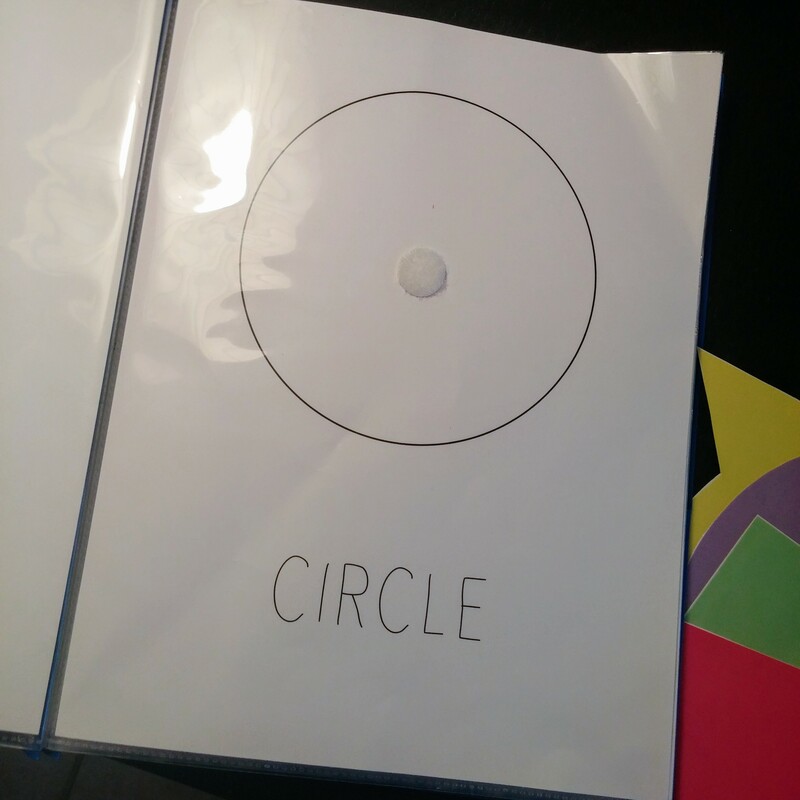 I printed the pages and laminated the shapes at the local office supply store. 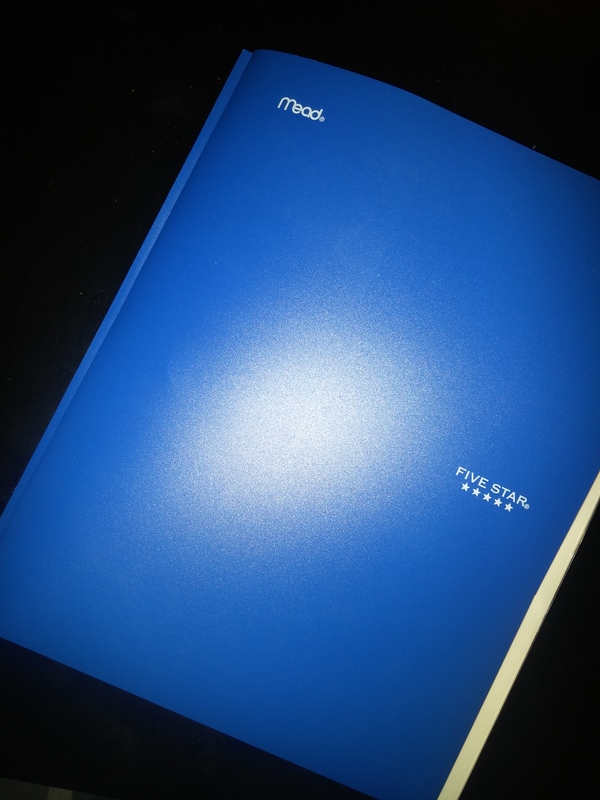 While at the office supply store I also purchased some velcro stickers to use for the book and a folder similar to one I mentioned in the diy dry erase alphabet book post. I used sheet protectors for each sheet and laminated the shapes. I decided to do it this way because I had so many sheet protectors after making the alphabet book. 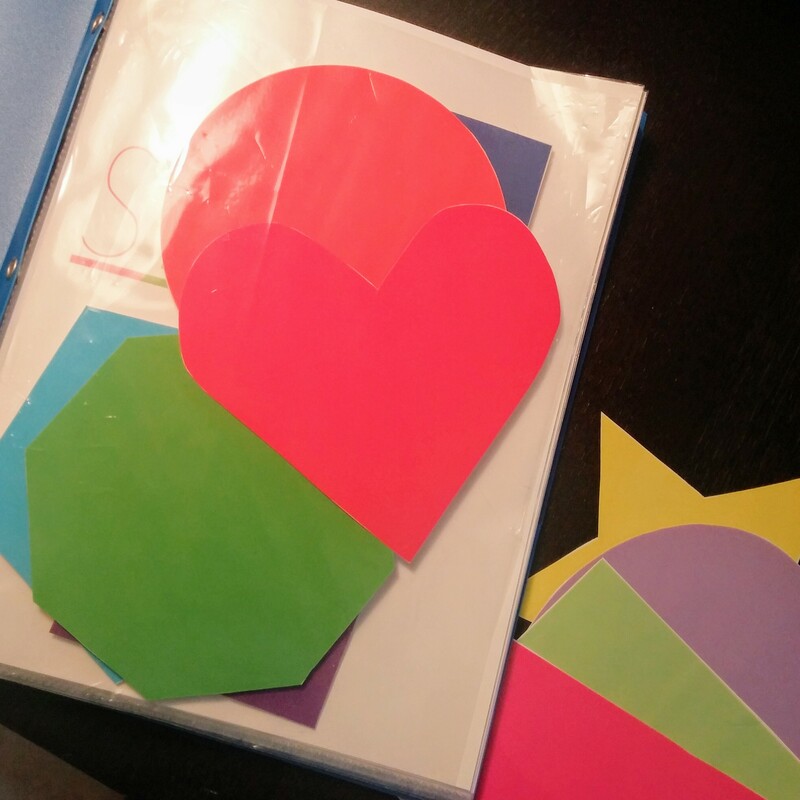 You could also laminate the pages. I left an extra, empty sheet protector at the front of the book. 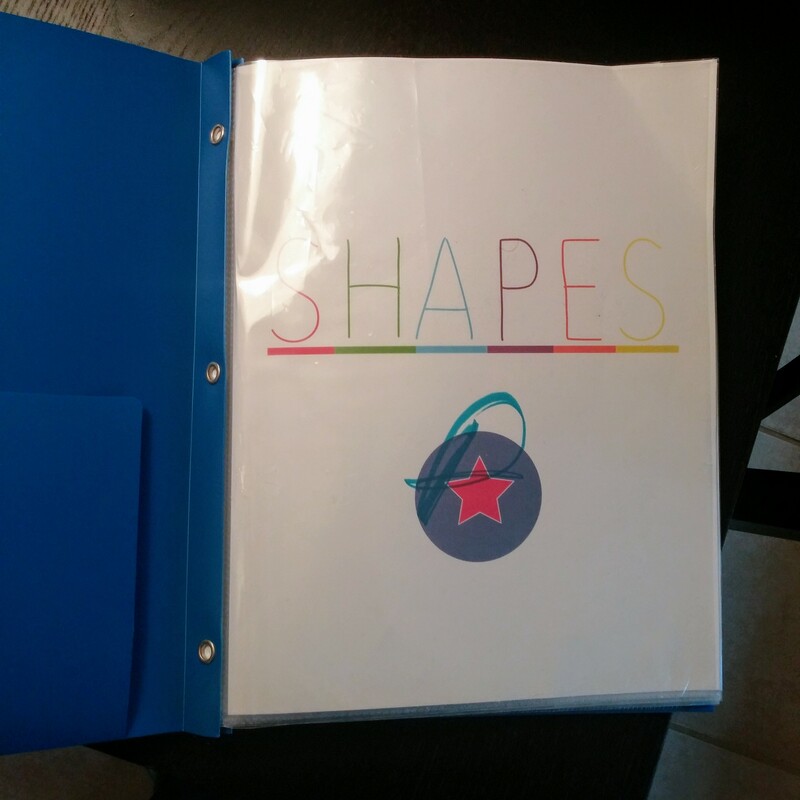 My folder had a pocket on it, but the shapes kept sliding out. They seemed to stay better in the sheet protector. My son is pretty good at this book now, but he still likes to review his shapes. I keep all his “educational” toys/activities in one box in our family room. If it is play time I can easily say, pick something out of your box and we will work on an activity. This works great because he can choose the activity and I know whatever he picks will be something educational. In what ways do you reinforce education in your home?